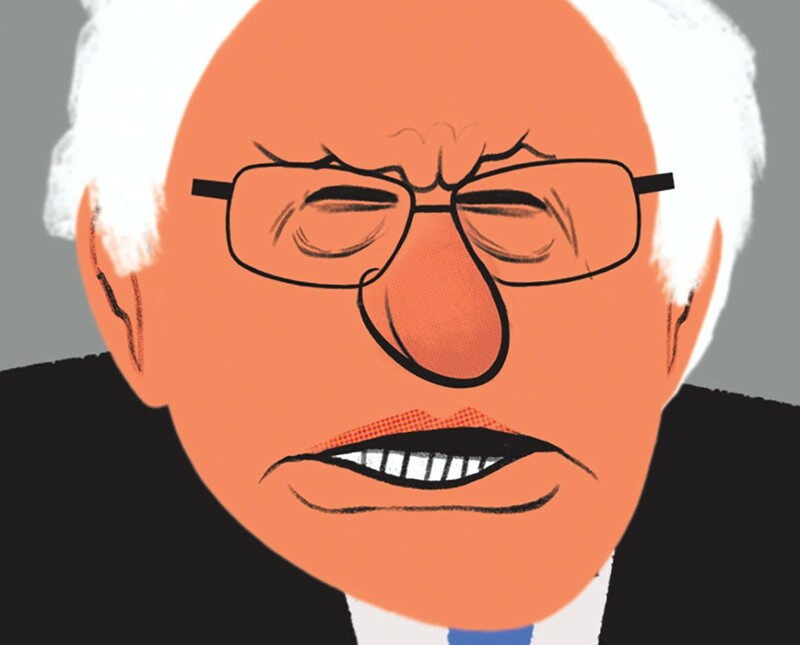 In a Third Term, Would Bernie Sanders Show Up to Work? Brad Peacock is hoping that Sen. Bernie Sanders (I-Vt.) will make a second bid for the White House in 2020. But the Shaftsbury farmer is not so sure that Sanders should do so from his perch as senator from Vermont. "This next presidential election is going to be a defining moment in our country's history, so I want someone that is completely focused on that," said Peacock, an independent challenging Sanders this fall. "And the job as a senator is to represent ... the people of your state." The way Peacock sees it, Vermonters deserve a full-time senator — like the one Sanders was before the 2016 campaign — not the national political figure he has since become. In his first six years in the Senate, from 2007 through 2012, Sanders missed only 31 of 1,838 roll-call votes, or 1.68 percent, according to the online research service GovTrack. That's close to the 1.4 percent median lifetime absentee rate of all incumbent senators. Fast-forward to the final two months of 2014, during Sanders' second term, when he missed 32 of 96 votes — or 33 percent of those held in that period. Where was he? Much of the time, running for president. On December 16, Sanders missed eight votes while he was on a trip to Ames, Iowa. The senator's voting record improved in 2015, even after he formally announced his presidential run in April. That year, Sanders missed 28 of 339 votes, or 8.25 percent. In 2016, when his presidential campaign climaxed and then petered out, Sanders was absent for 115 of 163 votes — or nearly 71 percent — more than any of his peers. Since President Donald Trump took office in January 2017 and Sanders returned to the Senate, his attendance record has been closer to the norm. He has missed just 11 of the 429 votes recorded by GovTrack, or 2.56 percent. What strikes Middlebury political science professor Matthew Dickinson about Sanders' absenteeism is Vermonters' apparent indifference. Shortly after the senator announced his reelection bid last week, the prof tweeted, "It is amazing how many votes @SenSanders missed in 2016, but so far Vermonters don't seem to mind." For proof, look no further than an April poll by Morning Consult, which found that Sanders had a higher home-state favorability rating than any other senator: 72 percent. Sanders was hardly the only presidential aspirant to neglect his day job during the 2016 campaign. According to GovTrack, Sen. Lindsey Graham (R-S.C.) missed 17 percent of the Senate's roll-call votes that year, Sen. Marco Rubio (R-Fla.) missed 23 percent and Sen. Ted Cruz (R-Texas) missed 50 percent. Sanders' 71 percent absentee rate exceeded that of the others largely because he outlasted all three in their respective primary races. GovTrack founder Josh Tauberer cautions against giving too much weight to a single metric. "Taking any one number and saying that's the number that's important ... other constituents will make different determinations," he said. But Sanders doesn't fare much better when it comes to other metrics collected by Tauberer's outfit: In 2016, none of the bills the independent senator introduced had both a Democratic and a Republican cosponsor, and none made it out of committee. Between 2014 and 2017, the number of bills he introduced dropped from 69 to just 18. In an interview, Dickinson said Sanders' status as an independent voice — the senator is still seen as an outsider despite having served in Washington, D.C., since 1990 — gives Vermonters different expectations. "I think they like him as a voice, a symbol of the progressive movement," Dickinson said. "He's not a workhorse in terms of being a senator that produces a lot of legislation, but I think they're not expecting that of him." Sanders' national travel schedule hasn't just affected his work in Washington. According to a Seven Days analysis of official event advisories, the senator's accessibility to constituents has waxed and waned dramatically during his second term. In 2013, Sanders' Senate office announced 20 days' worth of Vermont appearances, or four full workweeks. Those included 10 town meetings featuring such luminaries as environmentalist Bill McKibben, journalist Matt Taibbi and the Danish ambassador, as well as six press conferences. Seven Days' count does not include campaign events, private meetings or impromptu public appearances. The following year, even as Sanders made six trips to New Hampshire and four to Iowa, he held official events in Vermont on 15 days. In 2015, the year Sanders launched his presidential campaign in Burlington's Waterfront Park, his Senate office announced only seven days of in-state appearances. In 2016, there were none. That year, Sanders did make several campaign stops in Vermont, including a Super Tuesday celebration at the Champlain Valley Exposition and a series of rallies with gubernatorial candidate Sue Minter and other members of the Democratic ticket. He also showed up unannounced at a Burlington vigil following Florida's Pulse Nightclub shooting and at the town of Warren's Fourth of July parade. In 2017, Sanders' national travel schedule slowed, and he held 22 days' worth of official events in Vermont. Just five months into 2018 — an election year — he has already held 12, including a press conference this Tuesday at the Statehouse. In a written statement, Sanders campaign spokesperson Arianna Jones said her boss is succeeding at balancing his role as a national progressive leader with his job as a U.S. senator. Jones listed more than a dozen events Sanders has attended in Vermont since the beginning of 2017, from town hall meetings with seniors to a college fair at Springfield High School. "In the same time period, he also traveled to over 20 states to lead the charge against the Republican health care bill and the Republican tax plan — both having consequences that would directly impact Vermonters," Jones wrote, "and to rally on behalf of candidates at the federal, state and local level who are prepared to stand up for a progressive agenda that will benefit working families across the country." Sanders declined multiple interview requests. Vermont Democratic Party chair Terje Anderson defended Sanders' record representing Vermonters. Anderson said his own advocacy experience in Washington taught him that plenty of Senate work gets done even when senators are out of town. "The real work of a senator is carried out by their office whether they're in D.C. or they're out giving a speech in another state or whatever," Anderson said. Phil Fiermonte, who spent two decades as Sanders' top Vermont staff member and helped launch his 2016 presidential campaign, recalled the senator constantly staying in touch with his staff in Vermont and D.C. while he was on the campaign trail. "He missed votes, but I can tell you he didn't miss much of what was going on in Vermont," said Fiermonte, who retired from Sanders' team last year. That diligence is noticed by voters, political scientist Dickinson said. Sanders is known for working his staff hard and for putting a premium on constituent services. 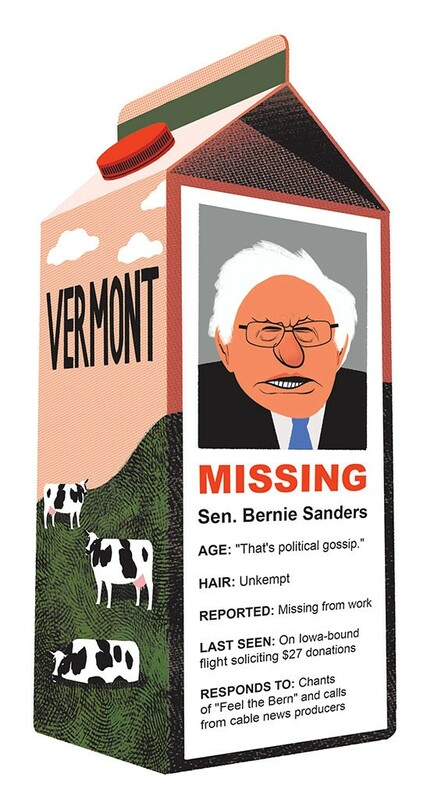 While those interactions don't show up in a tally of Sanders' missed votes on the Senate floor, Dickinson said they make Vermonters feel well represented. "I would say his office has a reputation for being very responsive when inquiries come in about waits at the veterans hospital or all sorts of correspondence-related stuff," the professor said. According to state Sen. Chris Pearson (P/D-Chittenden), a former Sanders staffer, voting records don't reflect the influence Sanders has on political priorities at the national and state levels. He cited the Vermont legislature's recent vote to raise the state minimum wage to $15 an hour by 2024 — a bill vetoed earlier this month by Gov. Phil Scott. Pearson said he had been "ridiculed" by colleagues when he introduced a similar legislation as a Vermont House member in 2014. "After Bernie's presidential campaign, that issue ... was no longer unrealistic," Pearson said. In making his reelection announcement last week, Sanders cited his desire to work on matters with impact far beyond Vermont's borders: a federal $15 minimum wage, single-payer health care and free college tuition. "I was struck by his announcement," Dickinson said. "It was a lot of national issues ... It wasn't your traditional 'Here's the things we need to do for the state.' So that tells me he may be running for reelection locally by focusing on a national message." Dickinson said Sanders' voting record — or lack thereof — isn't likely to be an issue in this year's election unless someone emerges as a strong challenger and makes it an issue. But the professor isn't holding his breath. "I haven't seen a good, strong opponent run against him since he got the House seat [in 1990]," Dickinson said, noting that Vermont's left-leaning politics make it likely that only a Democrat could pose a serious threat to Sanders. And a Democrat-backed opponent appears unlikely. "We do know that the voters in the state support Bernie very strongly," party chair Anderson said. The party plans to coordinate its statewide campaign with the Sanders apparatus this year, as it has for more than a decade, he said. Anderson said the issue of Sanders' Senate attendance hasn't come up in the party's discussion of its 2018 plans, and his impression is that voters aren't really thinking about it, either. "They like the higher profile that Bernie's national reputation gives him and gives the state, and I don't hear a lot of dissatisfaction with this idea that he's out raising these issues around the country," Anderson said.